this summer has been a real mixed bag weather wise.. to be honest every year I find myself massively unprepared as to what to wear when it's hot so it's worked in my favour for once! this knock out white blazer arrived from lavish alice as I was heading out to lunch with james and I couldn't resist wearing it immediately!! we were due a date with some pizza's so my track record for spilling combined with a wobbly table leg proved for a jumpy lunch date.. however I managed not to get a drop on myself so I'm definitely winning at life... clumsiness 0, caroline 1.
every year I hunt for the perfect basic tee, my last one was from topshop and they don't stock it anymore (sob) so this white linen t-shirt from front row shop has taken first place.. you snooze you lose! it's a gorgeous material that drapes well and is going to be a handy little staple of mine with shorts this year. 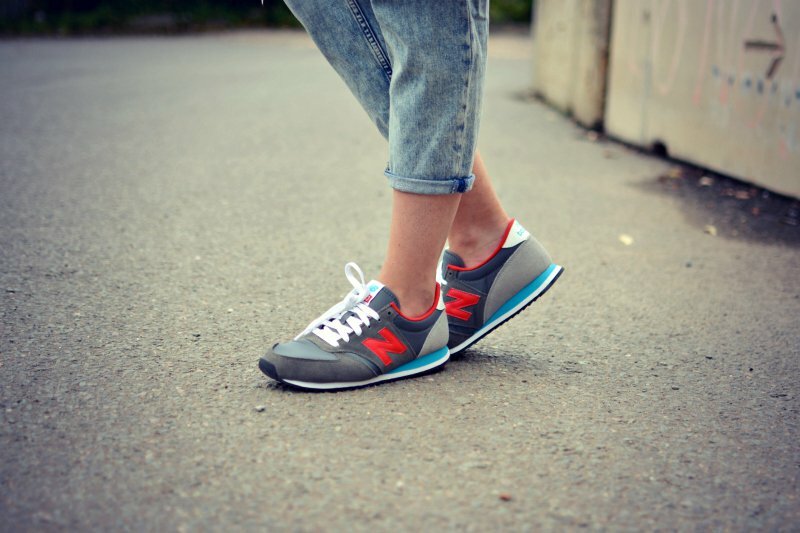 I found these new balance in the urban outfitters sale (pow) seriously comfy, I'm actually having a run of good fortune with my feet of late, hardly a blister in sight! last but not least I have to give the latest addition to my handbag collection a mention.. beacause well.. it has giant polka dots!! honestly I'm a little too in love with this foldover clutch especially as it comes with a strap so I can wear it a la cross body... hurrah! That bag! It's so perfect. I love the trainers. No blisters seems good to me! I am obsessed with white blazers but have yet to find the right one. I love this one, especially paired with the boyfriend jeans ! I love the idea of a collarless blazer, I find that so many blazers on the market make me look super square on the shoulders. beyond obsessed with this look! So gorgeous! 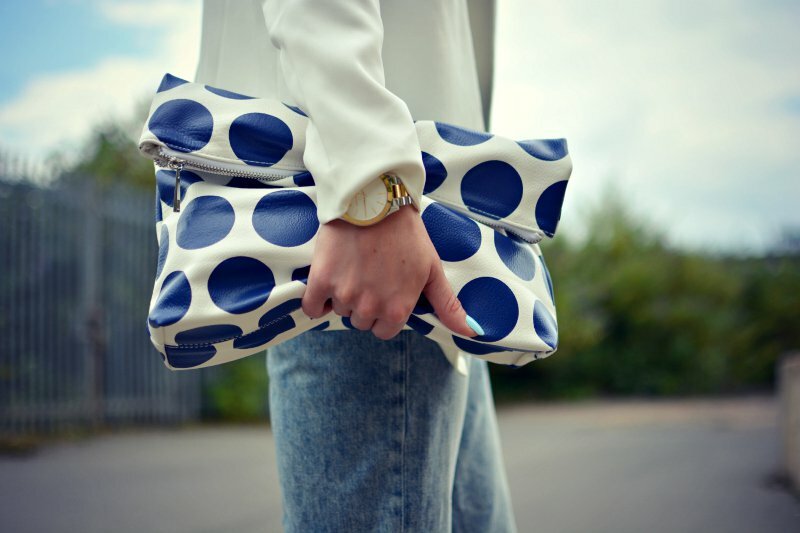 that polka dot bag is so cute! Also, congrats on not being clumsy and keeping that perfect white blazer pizza-free! If it was me wearing it, it would definitely have ended up covered in pizza! Lovely outfit and always good to see a fellow trainer lover! Love this whole look- that bag is AMAZING!! !